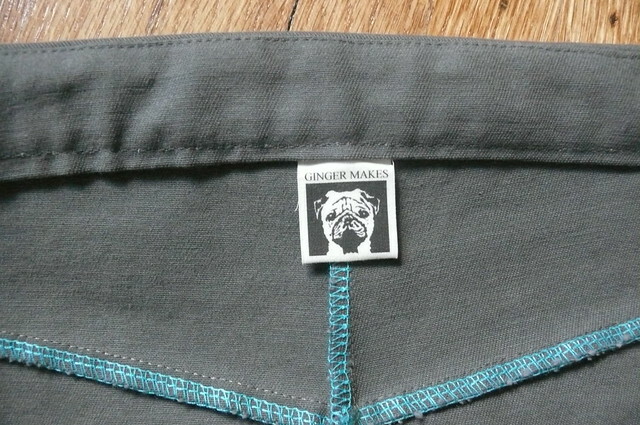 Ginger Made: Papercut Patterns Meissa Blouse! Hi, guys! I hope your Mondays are off to a great start! Don’t be too jealous, but I’m having the best kind of Monday– a day off of work! 🙂 Before I dive into my patternmaking homework and hopefully some sewing, I wanted to share one of my newest projects with you! The lovely and talented Katie of Papercut Patterns asked me to test one of her new patterns, and I jumped at the chance to try out her Meissa Blouse pattern! I love, love, love buttondowns and wear a basic plaid buttondown to work basically every day, so I was really excited to try out a shirt pattern that’s a little different. The Meissa Blouse has feminine details like a gathered yoke (in the front and the back), a rounded collar, and a curved hemline. Fun, right? My plan was to make this with peach-colored voile (which existed in my mind), but when I got to Mood NYC, I couldn’t tear myself away from this Theory brushed cotton. 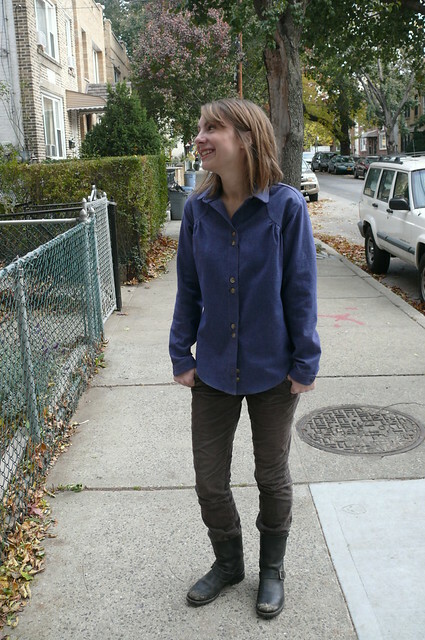 It’s SO soft, like, CRAZY soft, and definitely what you want to wear in cool November weather. It’s solidly medium-weight, which I knew was pretty risky for this blouse. 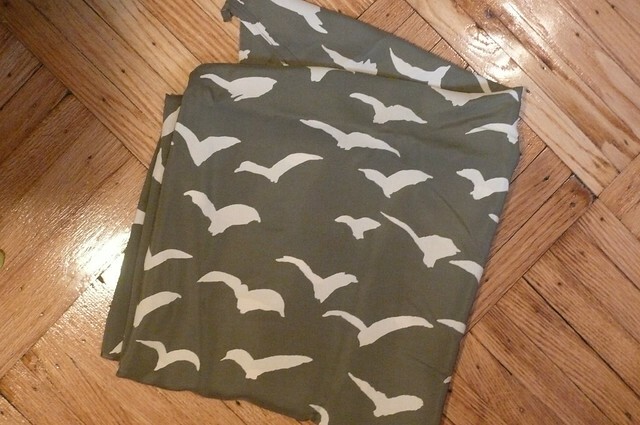 It would probably look a lot nicer in a lightweight fabric– the gathers would sit nicely and the whole thing would be really floaty and sweet– but I wanted to push the envelope and see if I could get away with this heavier fabric. 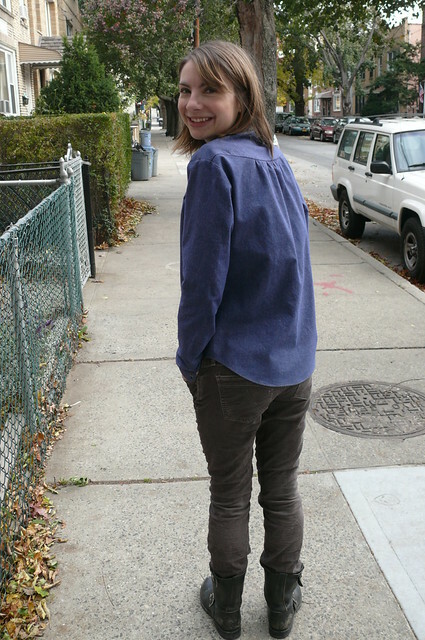 It probably looks a little sloppy, but I like my buttondowns really slouchy anyway, so I can live with it. Honestly, I’m a little surprised by how much I enjoy sewing shirts. They seem difficult and fiddly, but it’s really fun to put them together. This pattern came together really quickly, despite the fact that I’m really terrible at gathering. I probably spent more time trying to get the gathers even than I did on any other step in this process (again, this probably would have been easier if I’d used a lighter fabric). I made a size XS, my size according to the chart, and I didn’t make any alterations. 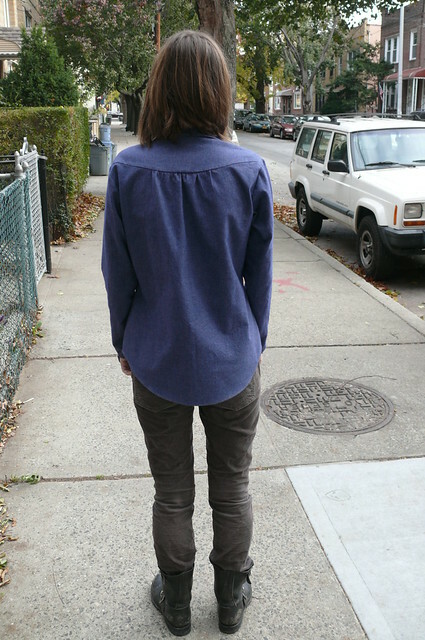 The shoulders are maybe a little wide, but I get the same thing in my RTW shirts– not sure if I have narrow shoulders or if this is just a style thing. I might lose a little width through the upper arms and add a little to the lower arms next time– it fits nicely through the forearm/wrist, but because they actually fit, I can’t roll the sleeves up very far, which is my preferred way to wear a buttondown. I topstitched the shirt with gold thread to give it sort of a denim look. 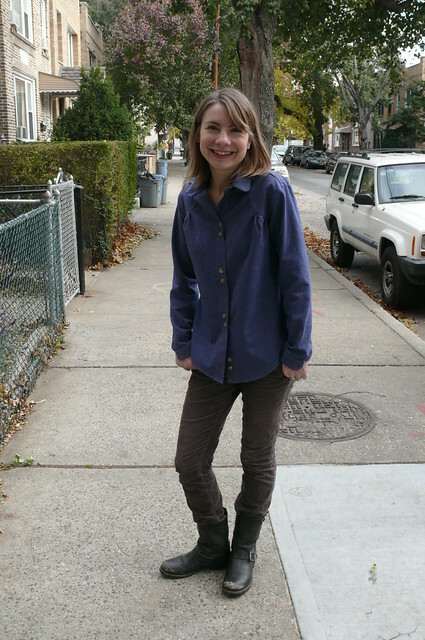 Actually, that leads me to a question– how should I style this shirt?! I generally wear jeans to work, but I don’t really like the denim-on-denim look, and I don’t have much else besides jeans to wear this with! I think this pattern is super cute and I’m excited to see more versions of it popping up on the blogosphere! Actually, I really like the whole collection, but the Bellatrix blazer is definitely high on my list for fall/winter sewing! I’d like to make a longer version to wear over jeans and a cropped version to wear over dresses! Not to tempt you too much, but there’s a 15% off sale right now, plus free worldwide shipping, PLUS the listed prices are in New Zealand dollars, so the blouse, for example, is about $17 USD. Not as bad as it looks at first sight. (NOTE: I’m not paid to shill for Papercut and I don’t get a cut of their sales or anything– I’m just a fan!). Alright, how about you guys? 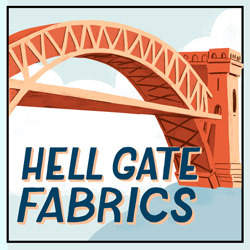 Any new patterns you’re excited about? What’s your favorite of the new Papercut collection? What’s on your sewing table these days? My next project is a dress for my neighbor’s granddaughter– it’s been pushed to the back burner for a while, but I really need to knuckle down and make that next! What comes first– the pattern or the fabric? It’s an age-old question, really (no, it’s not)! Me, I go to Mood Fabrics armed with a plan and a pattern every month, with a pretty decent idea of what I’m looking for, but I’m invariably assaulted by a beautiful fabric of a completely different variety and end up leaving with her! It’s a pretty good bet that if I come in looking for gold brocade, I’m probably going to leave with fuchsia voile. This fabric was no exception! I had completely different plans for this month’s project, but when I saw this Nanette Lepore neon green houndstooth, what was I supposed to do? Leave the gal behind? No way, Jose! The drawback to buying fabric on a whim is that it often takes me a while to decide what I want to make! I had my heart set on a little romper or two-piece playsuit, but finally talked myself out of that when I realized it would literally NEVER step outside my closet. 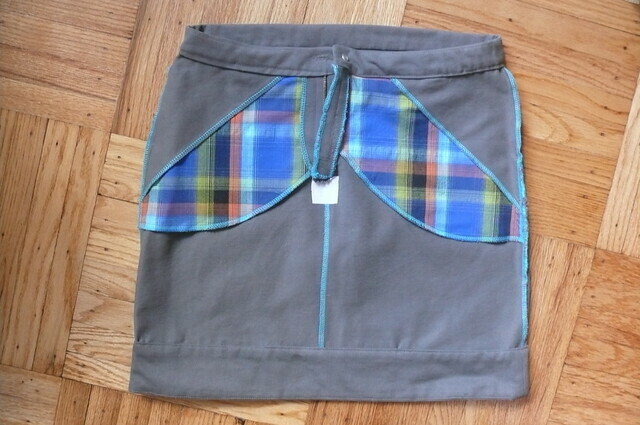 So then I settled on By Hand London‘s Charlotte skirt for its suuuuper wiggle-a-bility. 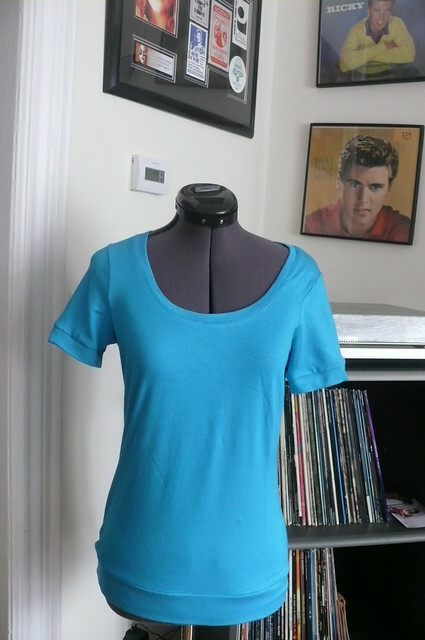 But then I thought about how much fabric I would have left over, so I decided to make a peplum top, too! Fun, right? 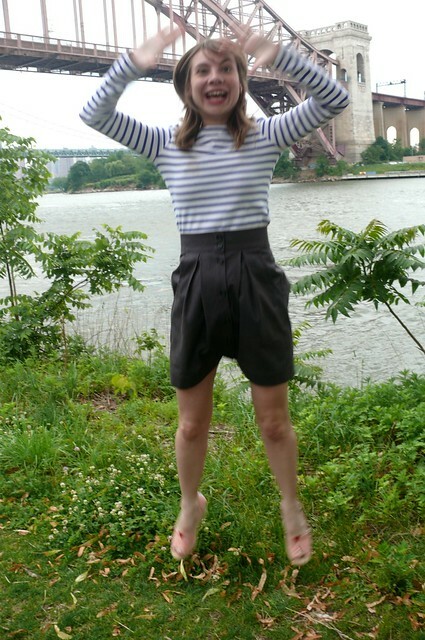 Only, I dug through my notions and I only had a 22″ zipper that matched, and that was enough rationale for me to make a dress instead of separates. This seems RIDICULOUS now that I think about it, but let’s move on. So, I opted for the Charlotte skirt bottom, with the peplum, and I added the bodice from Vogue V8511 (OOP), which I’ve made once before, which is KIND of like a skirt with a peplum top. This became one of those projects that I couldn’t stop tinkering with! I fitted the skirt like a glove and felt super hot until I figured out that I couldn’t sit down in it! Whooooooops! Obviously I should have realized that if I wanted a REALLY wiggly skirt, I should’ve followed BHL’s recommendations and used a fabric with stretch. I have to admit that it took two days of contemplation before I let out the seams! I kept thinking through scenarios in which I could wear this dress and not have to sit or climb stairs (cocktail party!). But these scenarios all ended in my mind with me toddling around on heels, trying to get into a cab at the end of the night without sitting down– disaster! 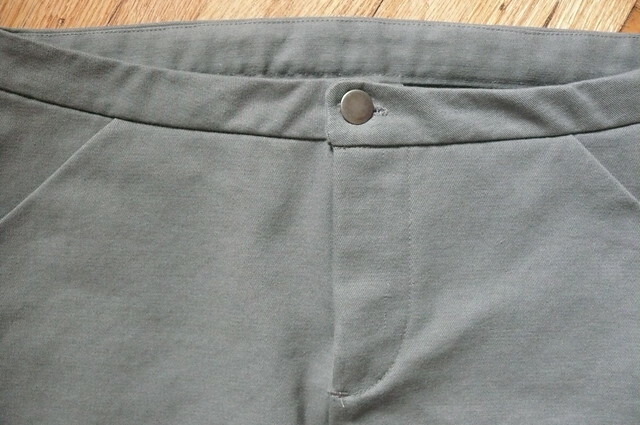 So the seam ripper was the only way to go, so I resewed the side seams with a 1/4″ seam allowance. Sadly, then I felt really frumpy, so I took it in a bit more between the hips and the waist. But then I STILL felt frumpy, so I took it in from mid-thigh to hem, leaving the extra room I needed in the seat area intact. THEN I fidgeted with the length, pressing up and down different hem lengths. Crazy! 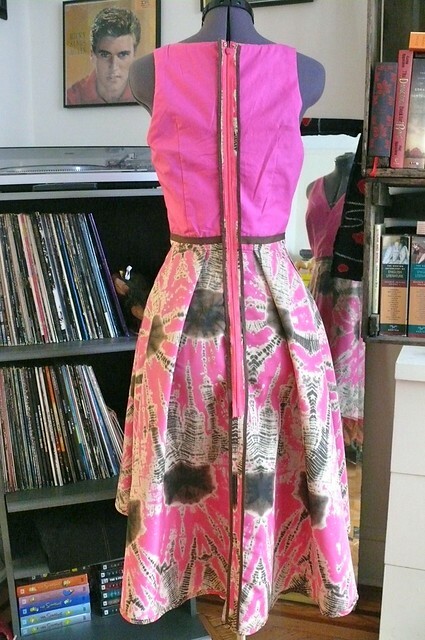 The dress is fully lined with rayon bemberg, which feels awesome! 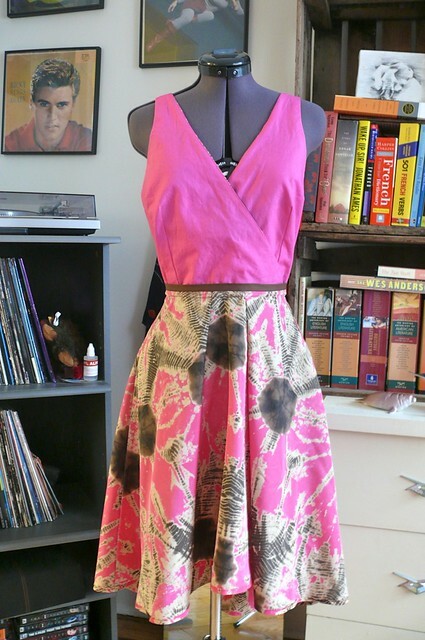 I hemmed it with rayon seam binding, which was really fun to use. I love the pink paired with neon green– it makes me feel like a secret watermelon (that sounds weird, doesn’t it?). It’s not very subtle, but then again there’s nothing subtle about this dress! I laughed because when my mother-in-law saw this dress, she remarked that it looked like a dress one of her Barbies had when she was a little girl (only Barbie’s dress was a classic white). I do feel a bit like a Barbie doll or something in this dress– it’s not a very serious outfit. But it’s fun to wear. If I made this again, or just the skirt, I would take some of the volume out of the peplum and lengthen it so it hits a little lower on the hips to sort of fake an hourglass figure more. As it is, it makes me feel kind of thick around the waist, which isn’t really the goal. But I love this fabric so much! It’s unusual and really fun to wear. Hey, guys! Happy Wednesday! May is one of my favorite months– the weather really starts to get nice here in the northeast, and there are so many things to celebrate! Last week was my seventh wedding anniversary, next week is Man Friend’s 30th birthday, and we’re just a few days away from celebrating our first Peggy-versary (one year since we adopted our cheerful girl dog from Animal Haven)! 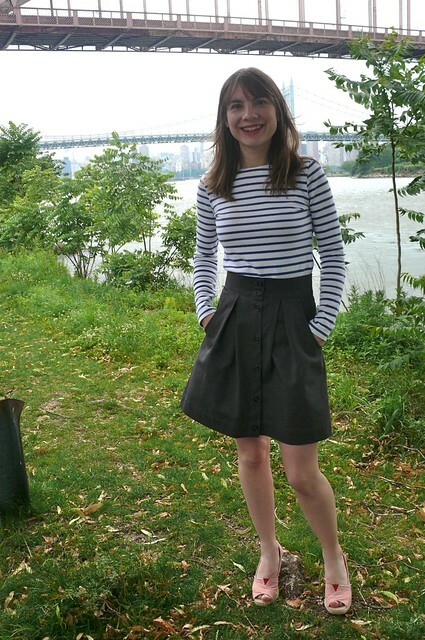 But amidst all the hubbub, I missed my second blogiversary on May 11th! But don’t worry– I didn’t forget about you guys! I picked out some amazing fabric for you guys on my trip to Mood over the weekend! It’s two yards of a gorgeous silk charmeuse, with one matte and one shiny side. My (grainy due to the crappy, dark weather) photo doesn’t really do it justice, but it’s a lovely gray with a hint of lavender in it. Suzanne at Beau Baby made an awesome blouse with a different colorway of this print in chiffon (Mood often carries silk prints that are offered in both chiffon and charmeuse, which is fun)– check it out here! To enter the giveaway, just leave a comment! If you already know what you would make with it, let me know in the comments, too– I always love to snoop! I’ll ship it anywhere. Just enter by 11:59PM next Wednesday, May 29th, one week from today. Hooray! Thanks so much for reading my blog over the past two years! It’s been so much fun getting to know you guys through your comments and blogs (and in person, whenever I get the chance!)! Thanks to you, sewing is a fun, communal activity for me and not just solitary time spent hunching over my machine, cursing and seam ripping! OK. I may have technically missed Jungle January, but I was with you in spirit and have been dying to add some animal print madness to my wardrobe! As soon as Anne announced the month-long extravaganza, I pulled this jersey out of my stash and started plotting. 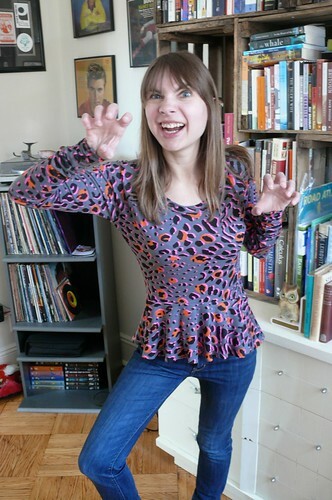 I picked it up at Mood several months ago during a mega shopping expedition with my sister, and the whole time I couldn’t stop saying to her, “This is so awful… I HAVE to have it!” It’s neon leopard print jersey, people! It’s too obnoxious NOT to bring home with you (ladies: this mantra does not apply to dudes). I found out at the cutting counter that it’s Betsey Johnson… makes sense, right? Homegirl loves her crazy prints! 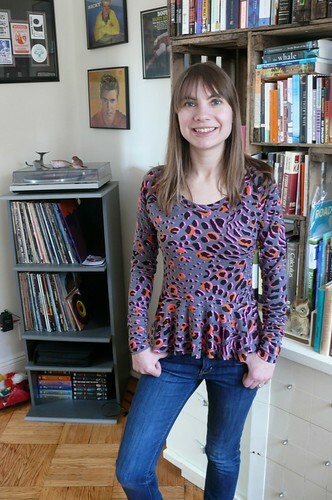 I used Papercut Patterns‘ new(ish) Petrouchka Top pattern, a raglan-sleeved peplum top with a curved seam at the midriff (totally obscured by the print, but it’s an adorable detail). It was mondo easy to put together– seriously, the most difficult part was trying to figure out what 1cm seam allowances are equal to (I spent a ridiculously long time trying to do that math… before I figured out that there’s a 1cm mark on my sewing machine…). 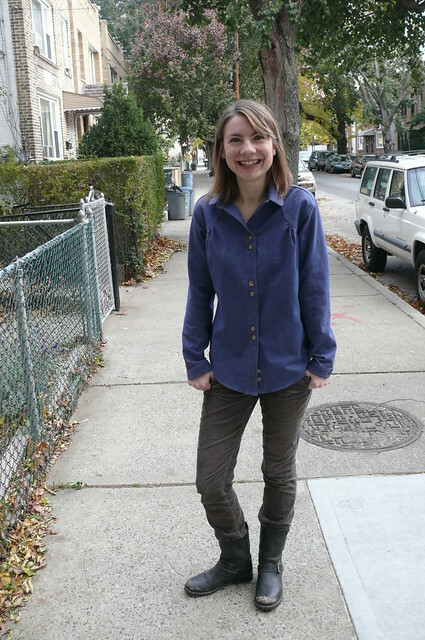 I made an XS, and I had to remove a ton of excess from the side seams and sleeves (like, as much as 4″ in some places). I wish that there was a chart of the finished garment measurements (OH WAIT, THERE TOTALLY WAS BUT I IGNORED IT BECAUSE, AGAIN, HOW AM I SUPPOSED TO KNOW WHAT 99 CM EQUALS IN REAL NUMBERS???). So yeah. After I’d already made all the alterations, I spent 3 seconds Googling “99 cm to inches” and realized that 39″ in the bust would never work for me, so I should’ve known better and just sized down from the get-go. Live and learn. 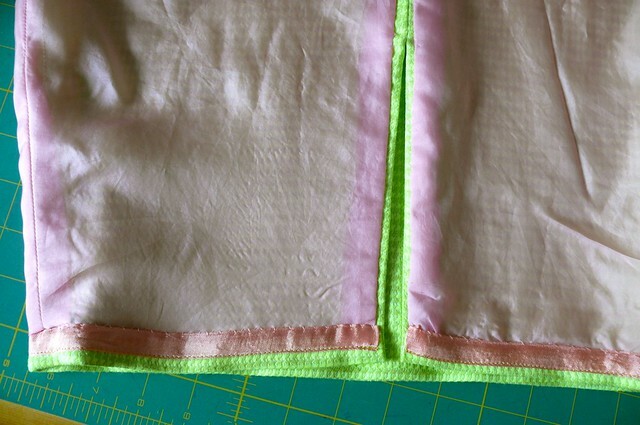 Let’s see… I also re-serged the seam joining the peplum to the bodice to raise the waistline a little. I still think it’s a bit too low, but I don’t want to lose any more length in the front, so I’ll just leave it. I’ll shorten the bodice and lengthen the peplum if I make this again. I’m still not 100% sold on the peplum trend. This doesn’t emphasize my hips, luckily, but I’m not sure how flattering it is to have all that fabric hanging from the waist. 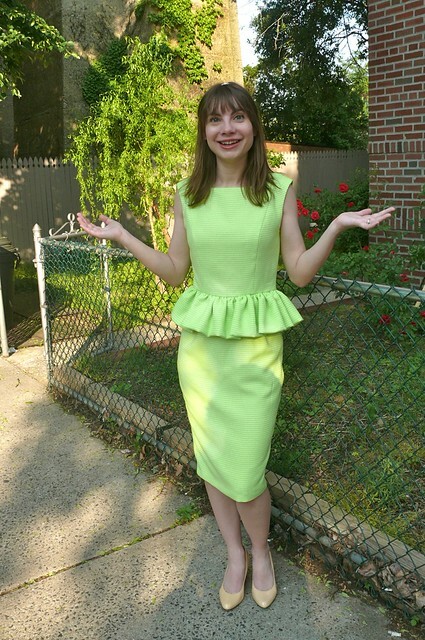 But I definitely wouldn’t have tried a peplum at all if I hadn’t loved this pattern so much, so that says a lot. I will probably make this again before ye olde peplum’s 15 minutes of fame in 2013 is up. I’ll say this, though– I definitely feel like a bit of a naughty kitty in this top. I’m so glad I finally have a reason to get this out of my stash and onto my body! It’s so trashy and fun– I feel like throwing a cosmo at someone when I’m wearing it! I’m sure Anne would approve this message– if she’s not president of the Sewing Bad Girls Club, I don’t know who is.